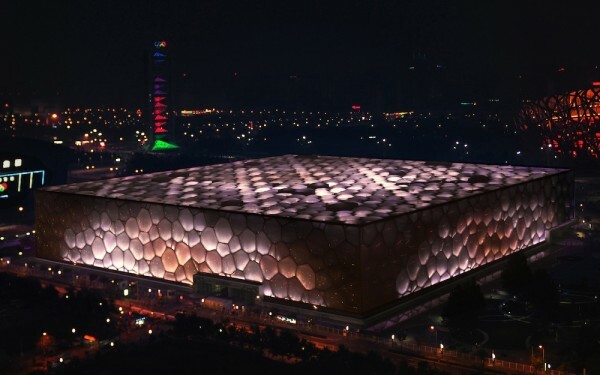 Ever wonder what happens to all those architectural beauties thought up and built for the Olympic games? 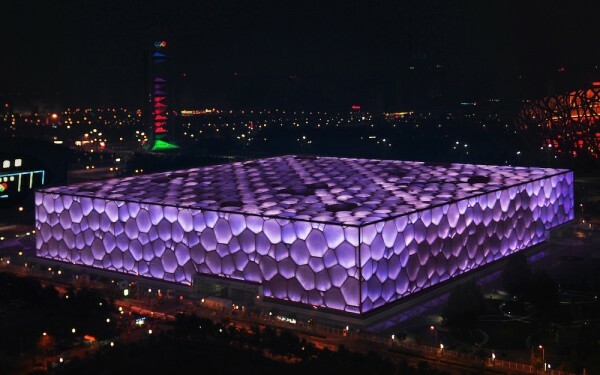 After Michael Phelps won his eight gold medals at Beijing's National Aquatics Center, nicknamed the Water Cube, what do they do with the swimming pools? Even in a city of 20 million people, how much swimming can one city really do? 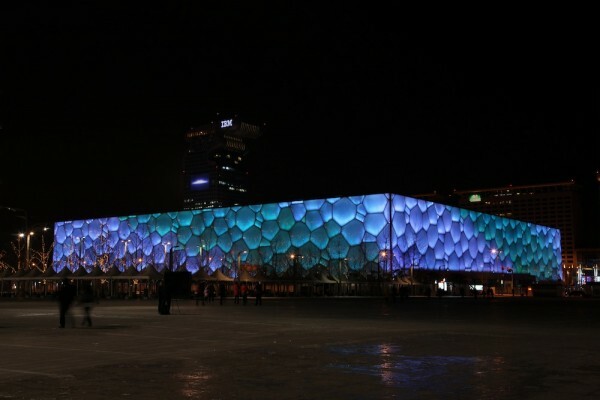 But never fear, the Water Cube has found new life in the hands of artist Jennifer Wen Ma and lighting designer Zheng Jianwei, both of whom consulted on the nearby Birds Nest Stadium. 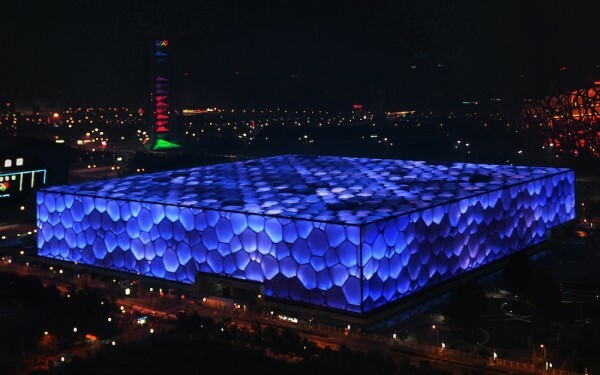 The fantastically undulating surface has been fitted with hundreds of colorful LEDs making it possible to precisely control the flow and combination of colors across the building shell. 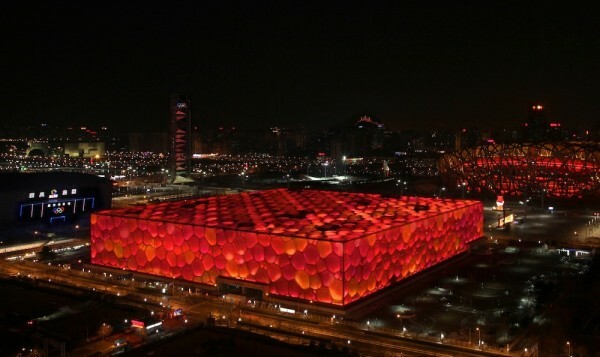 But this isn't just another lovely light show, entitled “Nature and Man in Rhapsody of Light at the Water Cube,” the installation is a public display of the state of the countries emoticons. Every night after dark a custom software program trolls Sina Weibo, China's knock off Twitter site, for all the emoticons users are generating, essentially gauging the mood of the country or at least the public expression of it. The emoticons are sorted into various categories which in turn correlate to specific colors combinations that then sweep and undulate across the Water Cubes bubbly exterior. The emoticons determine not just the color of the individual LEDs but also the shapes and movement that appear on the building. The piece transforms an underused building into not only an art installation but a statement about the public voice in a country still cloistered behind government censorship. Just think of the significance of two artists getting permission to publicly display, all be it thorough the intermediary of color, the emotional state of the nations people, on a government building. It paints an interesting picture of what China will and won't allow when it comes to art. Want to know more about how LEDs are replacing paint in architectural applications of color? 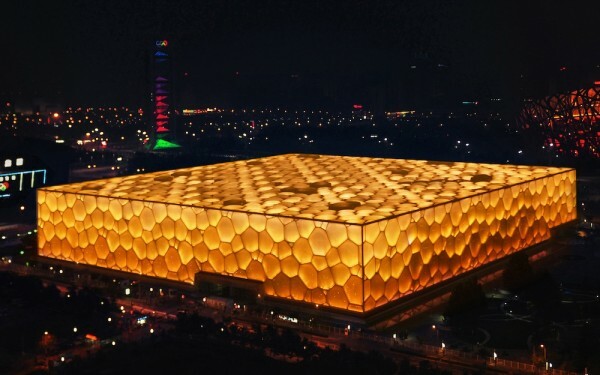 See the Sistine Chapel of LED buildings in our earlier post "LED's replacing Paint?"